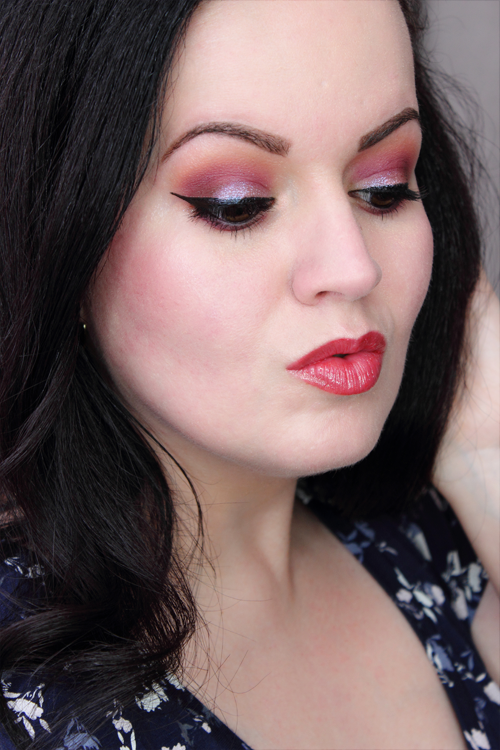 I’ve talked about Esqido on the blog a few times. 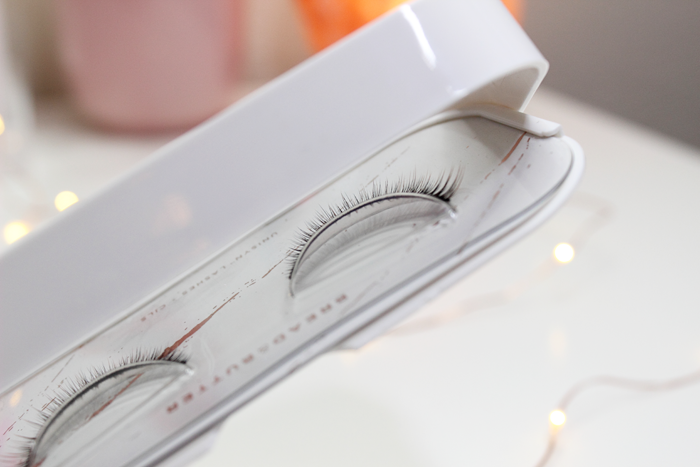 They make some of the most beautiful lashes ever! 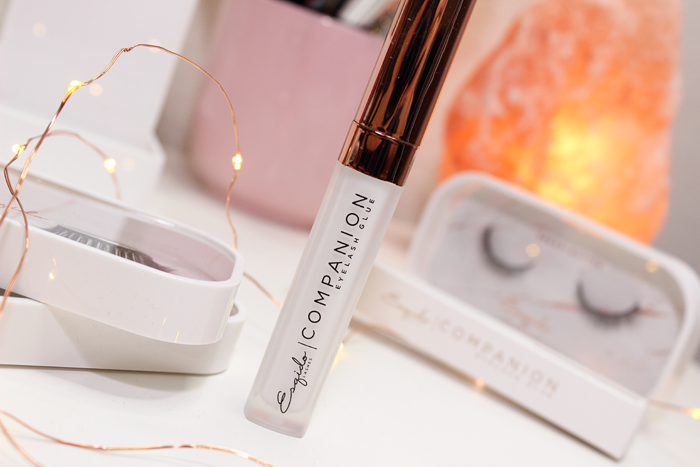 They recently launched a brand new product and it’s not lashes! 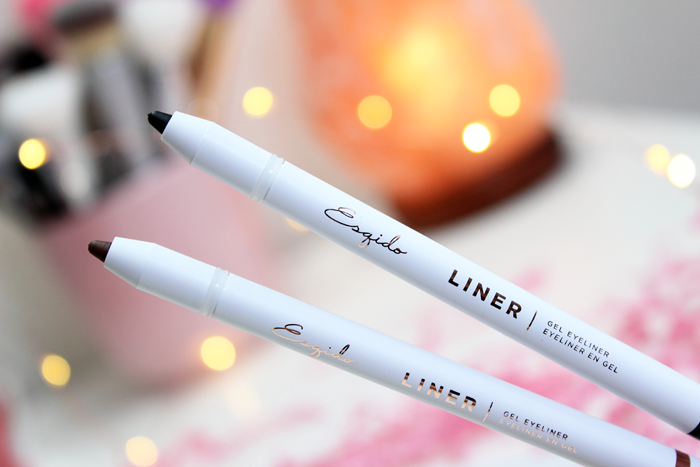 Feast your eyes on the fanciest Gel Eyeliner Pencils! 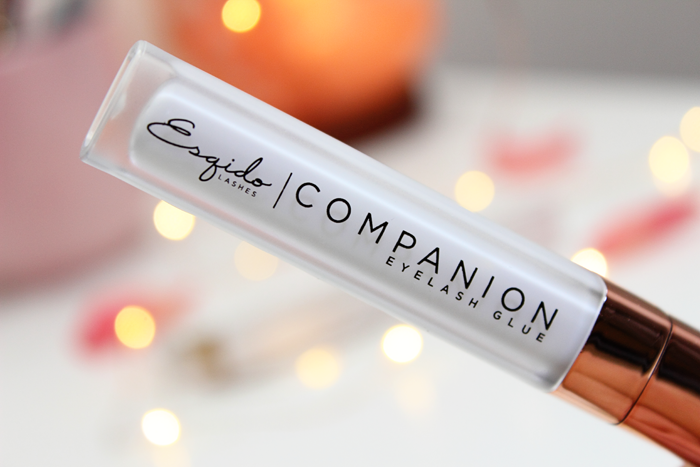 Esqido’s new Gel Eyeliner Pencils look just as clean and elegant as their lashes. They come in the shades Black and Brown. They’re waterproof and claim to be lightweight and long-lasting. They’re retractable, but contain a built-in sharpener at the bottom. It contains a silicone ring closure providing a nice airtight seal. This comes in handy in case you decide to take them along with you in your makeup bag. I can’t even tell you how many times I’ve had eyeliner tops slip off leaving a mess inside my bag. This was a really nice, well thought out touch. These are easily some of the creamiest eyeliners I’ve ever used. They’re so creamy I was afraid the tip would break any time I tried to sharpen it. It didn’t. However, I did have a difficult time getting a nice thin point for precision lining. 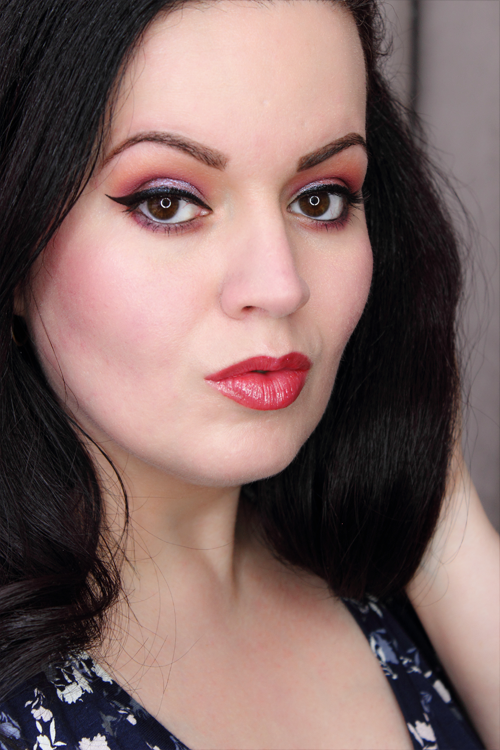 Because of that I really didn’t care for the look I created when I lined my upper lid. 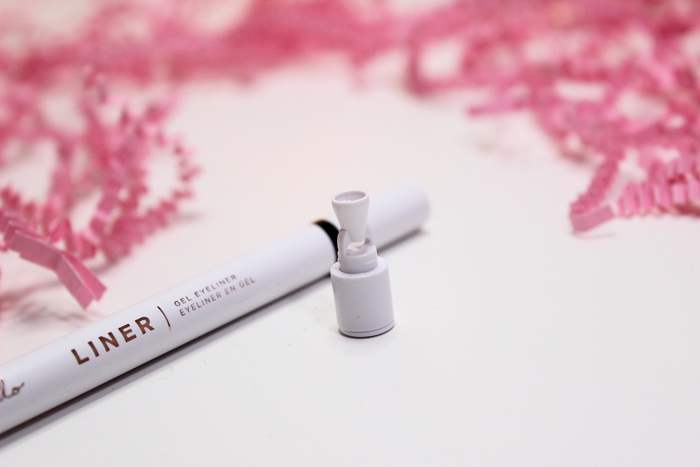 It did work beautifully on my lower lash line and tightline. My eyes can be a bit sensitive and tear up, but that didn’t happen with these pencils. Once I applied it on my lower lash line I smudged it a bit before it set. Once set it didn’t budge. It did feel lightweight and it lasted throughout the day without any issues. I even tested these out during a heatwave. They still didn’t budge! 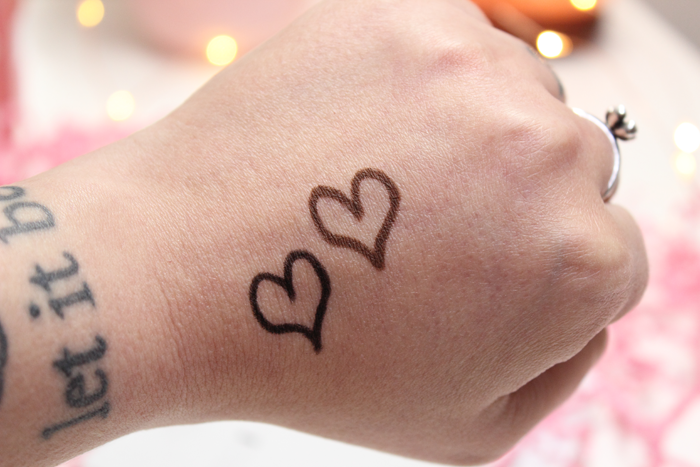 You can see the Esqido Gel Eyeliner Pencil in the shade Black in action below. I’m wearing it on my lower lash line. Overall, I’d have to say these are really great eyeliners. I wish I was able to get that tip a bit thinner for more precise lining. But I will be reaching for the black to line my lower lash line. 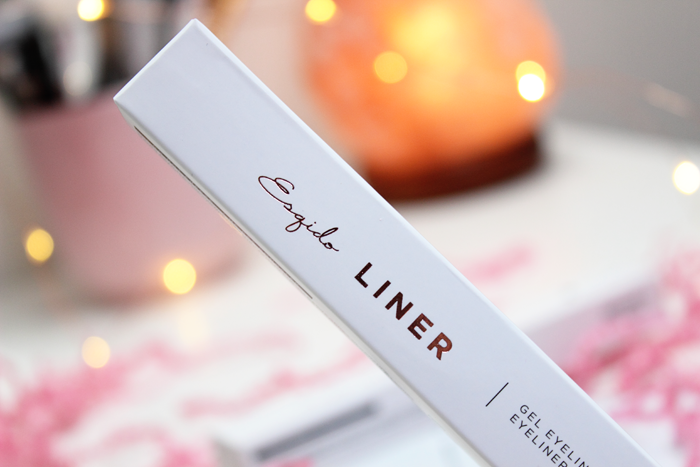 It’s one of the very few gel eyeliners that don’t leave my eyes a teary mess. Right now you can scoop these up for a special launch price of $10.00. That’s the cheapest I’ve seen a gel liner. You can save even more money using my code lisag. It’ll bring the price down to just $8.00! 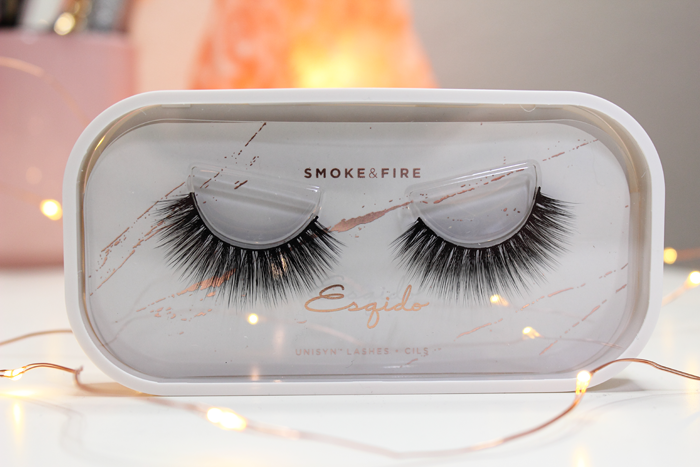 In the beginning of the year I talked about my experience with Esqido Lashes. I was really impressed with the quality of their lashes. I loved how they looked and felt. Even the packaging was all kinds of elegant and just so well thought out. 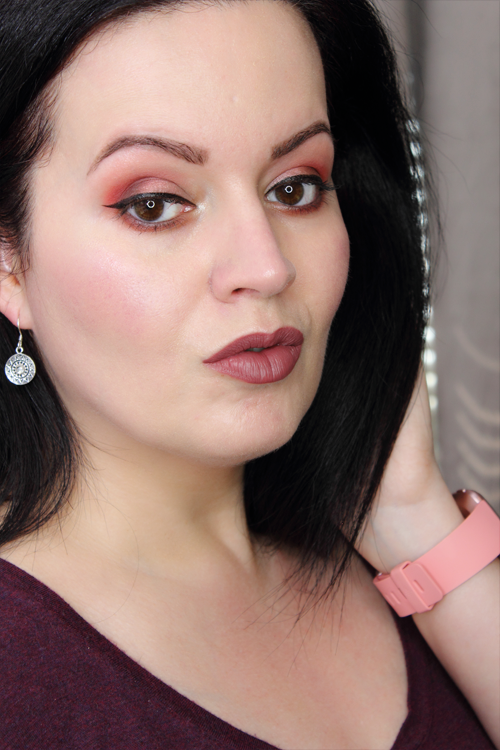 I didn’t think I could love another pair of lashes as much as I loved Night Bouquet. And then the most beautiful package landed on my doorstep and I suddenly had another favorite. Feast your eyes on the Unisyn Collection by Esqido! 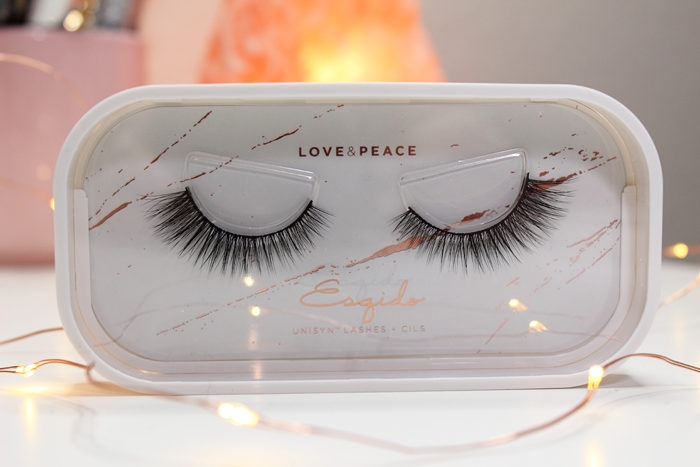 Esqido’s Unisyn lashes are handcrafted with an ultra-fine synthetic blend with a soft cotton band. It is said to redefine the meaning of the perfect union; weightless, beautiful, and natural looking. At the moment there are 10 beautiful styles to choose from. Aside from these 10 styles you can also purchase a kit. The Unisyn Lash Kit includes 3 pairs of Unisyn lashes. The styles I received are Bread & Butter, Love & Peace, and Smoke & Fire. This nifty kit covers all of your bases. 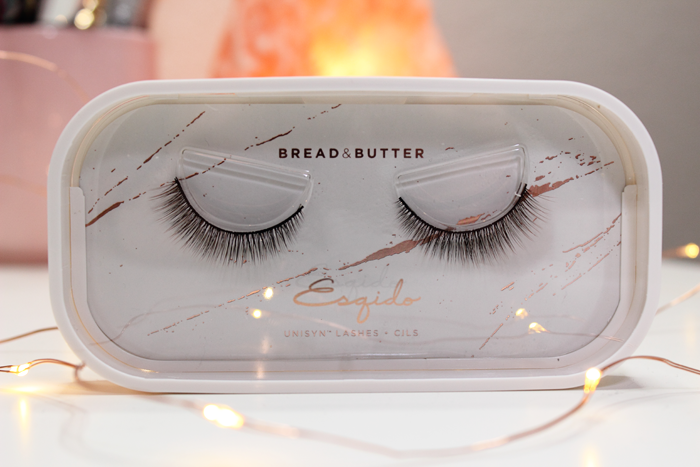 The Bread & Butter lashes are great every day lashes. These are the ones I tried first. They were so incredibly lightweight! I didn’t even notice them throughout the day. They’re so natural looking too! Smoke & Fire is more bold and glamorous. I feel like Love & Peace is a nice middle ground. Which is why I said this kit covers all of your bases. 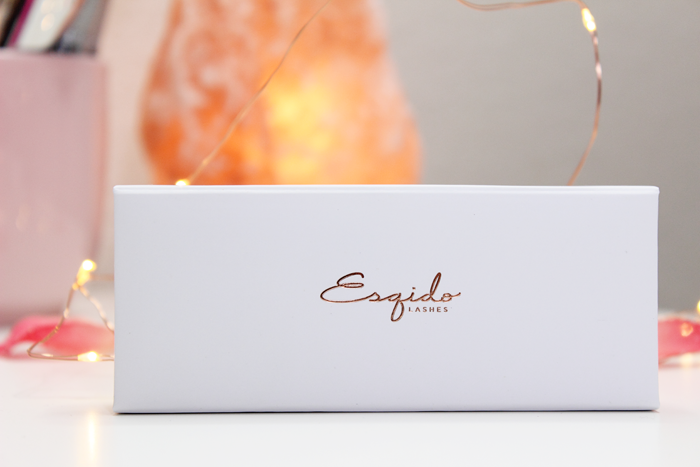 The Unisyn Lash Kit also contains Esqido’s Companion Eyelash Glue. 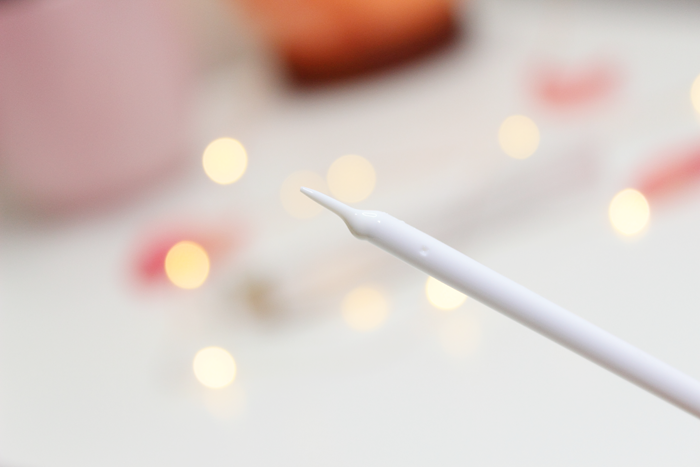 I love that their eyelash glue contains a wand for easy application. It’s nice and thin and applies the perfect amount of glue without making a mess. It’s also latex free and I didn’t detect a scent. The Bread & Butter lashes are my favorite. I can definitely see myself reaching for this style often. 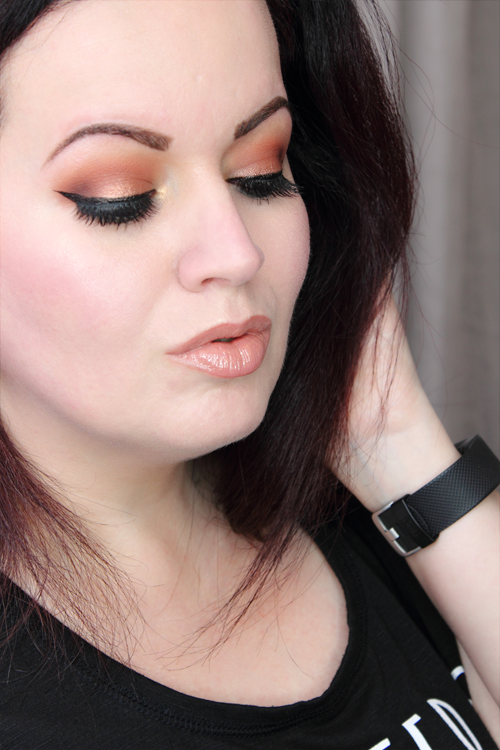 You can see the Bread & Butter lashes in action below. Overall, I’d have to say that this is a beautiful lash kit! 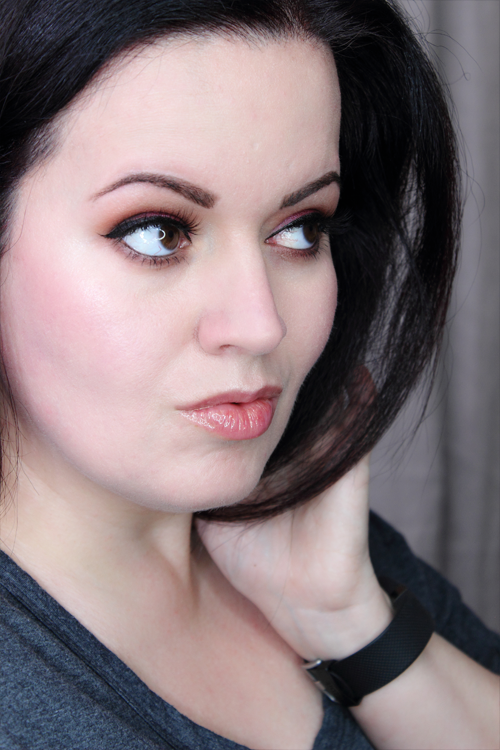 If you’re a fan of false lashes, I highly suggest checking it out. The lashes are of great quality. They were easy to apply and felt and looked natural. I’m also loving the packaging. The back of the package contains a small tab that you pull back so that the lashes slide right out. I have to say that I love this packaging more than the last. This way I can easily see the name and style of the lashes. They’re too pretty so it makes sense to put them on display. The Esqido Unisyn Collection will be available on March 28th at 12:00 AM EST. 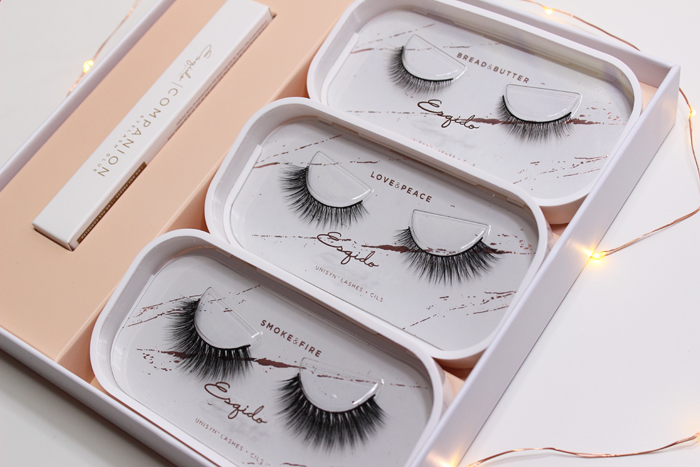 The lashes retail at $22.00. 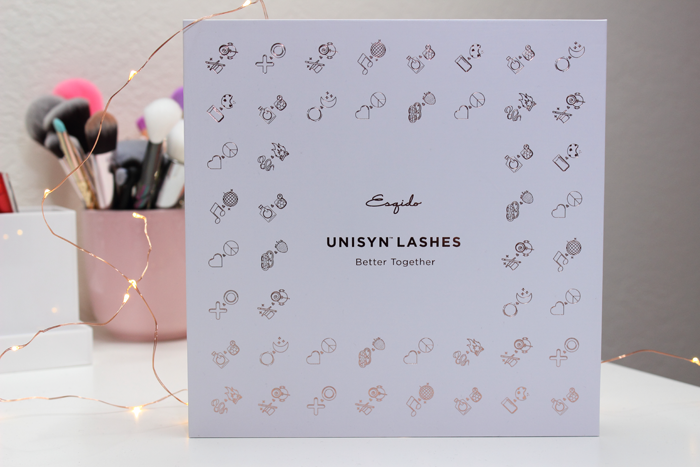 Esqido will be running a special where you buy one pair of Unisyn lashes and you get the second pair 50% off (limit 1 per order)! The Unisyn Lash Kit will retail for $50.00 (a $76.00 value)! You can also use the promo code lisag for an extra 15% off (this is an affiliate code)! 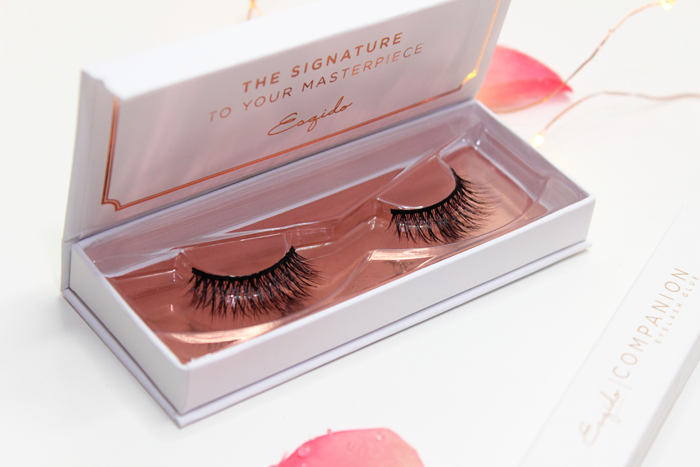 Have you tried Esqido lashes? 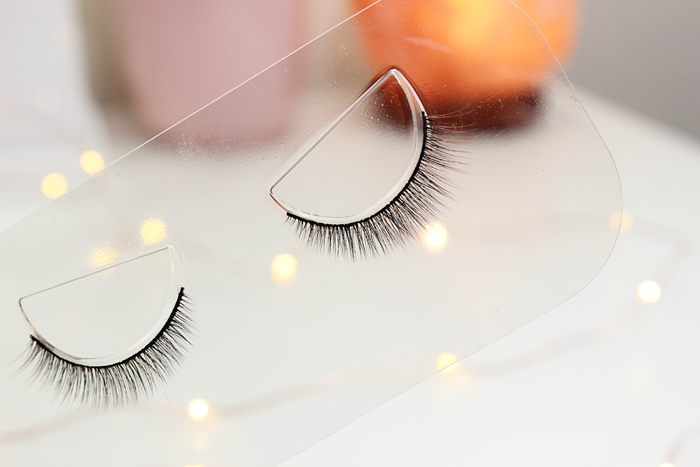 What lashes are you loving at the moment?